We remember very well that feeling of excitement when we booked our flights from Kuala Lumpur to the Malaysian foodie city: Penang. 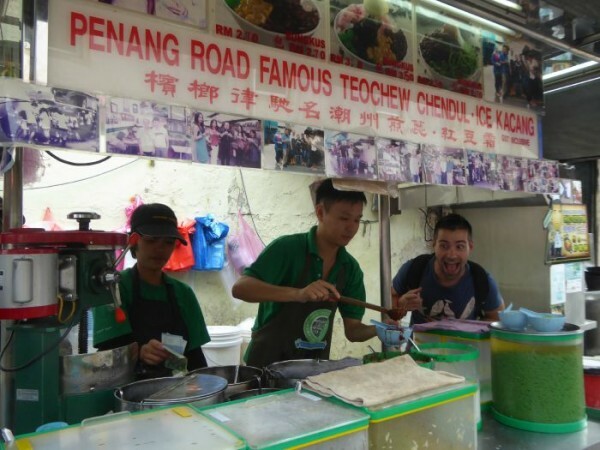 Penang is well known as one of the famous food capitals in Southeast Asia so we were dead excited about wandering through the streets of Georgetown and literally stuffing ourselves silly! 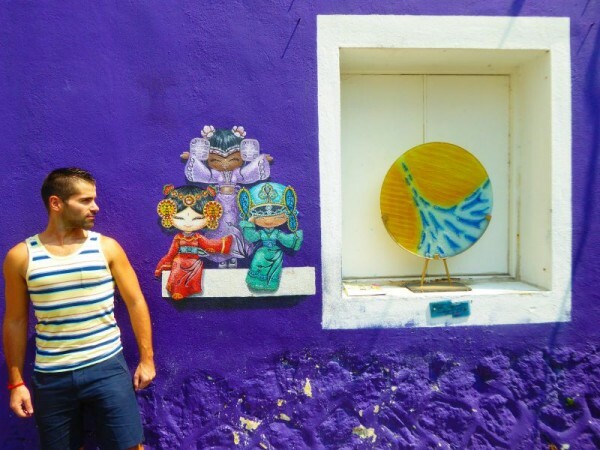 Needless to say, we needed to find a nice place to stay, preferably strategically located close to restaurants, street art and with a gym nearby to burn all those calories. 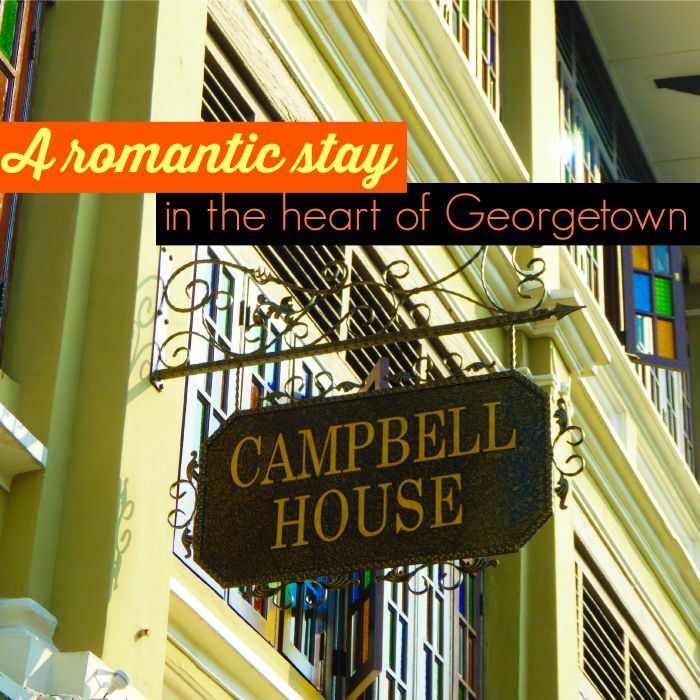 After much research on Tripadvisor, we decided to go for Campbell House, a stylish and romantic little boutique hotel in the heart of Penang, which we instantly fell in love with. 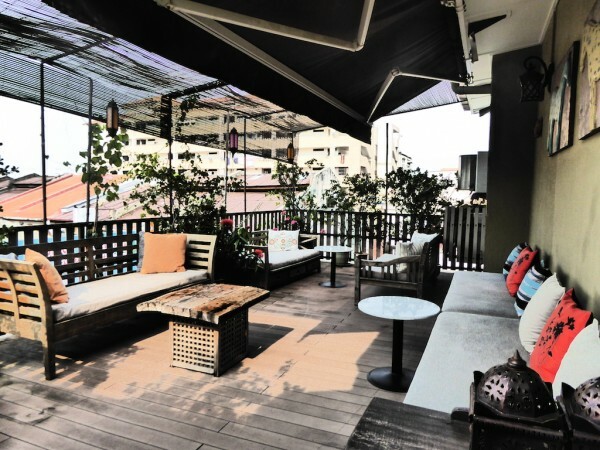 Campbell House is located at the corner of Lebuh Cambpell and Lebuh Cintra, minutes away from the Unesco Heritage area and surrounded by foodie wonders. We were greeted by the lovely owners Roberto and Nardya, who bought this old Chinese building many years ago and refurbished it. Campbell House is a cosy boutique hotel and for us was like a little paradise, where guests are treated with a five star service and feel at home. The building was initially built in 1903 and its history and development is all part of its charm. The building was initially used as a Haiwanese Hotel until 1960 when it was converted into small businesses and thereafter became derelict. Nardya and Roberto purchased the crumbling building in 2009 and converted it into the dream it is now. Most of the original features were retained, such as the wooden beam arches and the floorboards, giving it a very authentic feeling. 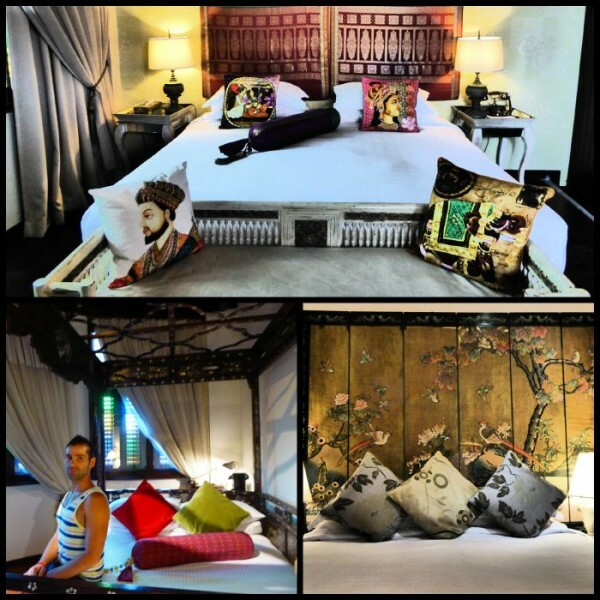 Nardya and Roberto put their heart and soul into restoring this old building to make what it is today: a chic and authentic heritage boutique hotel, boasting an eclectic mix of colonial heritage, Chinese, Malay and Indian styles. The 11 rooms each have their own personality, carrying their own unique theme. 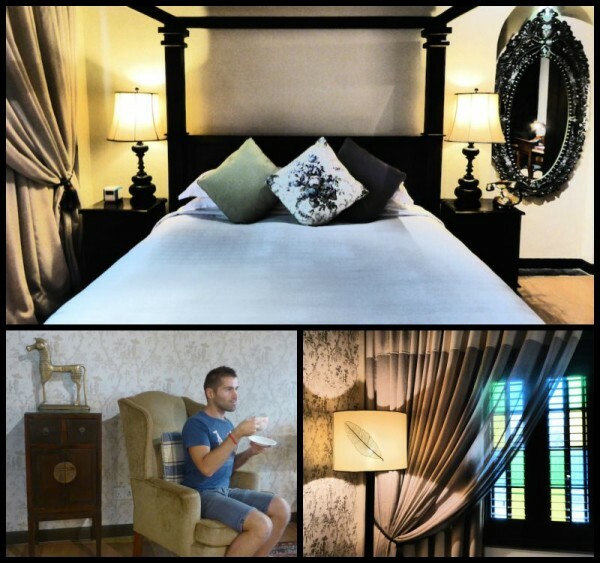 Perfect for couples who are looking for a romantic getaway in Penang. 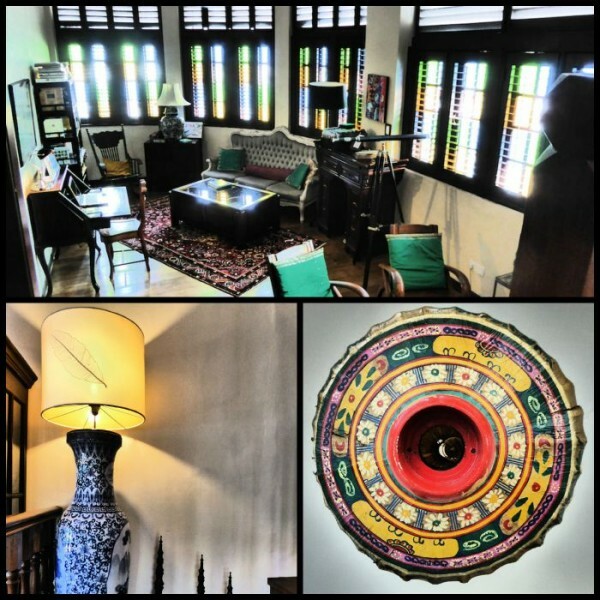 We stayed in the Colonial Suite, a beautiful room decorated in colonial style, with some touches of Chinese, Malay and Indian influences. It was our love nest for a few days. The stylish wooden teak bed was the most comfortable we had during our travels and we also had one soft and one hard pillow each to choose from. It was pure bliss going to bed every evening. The bathroom has a terrific shower with powerful pressure, which is warmly welcomed after spending a day wandering through the streets of Penang. We particularly liked the Moorish design tiles, inspired by the 5 pillars of Islam. The bathroom in the Colonial Suite, with tiles of Moorish design. Right next to our room, was the rooftop balcony, accessible by all guests. Great for a bit relaxation and meditation in the morning. What makes Campbell House unique is the quality of service you get, which makes you feel special. Every guest gets a welcome personalised letter and every evening, the friendly staff will place a weather forecast print out for the next day along with a delicious home made cake and iced tea . The big plus for us (as coffee addicts) was the Nespresso coffee machine in each room. We don't think we've ever been to a hotel offering Nespresso machines in every single room! 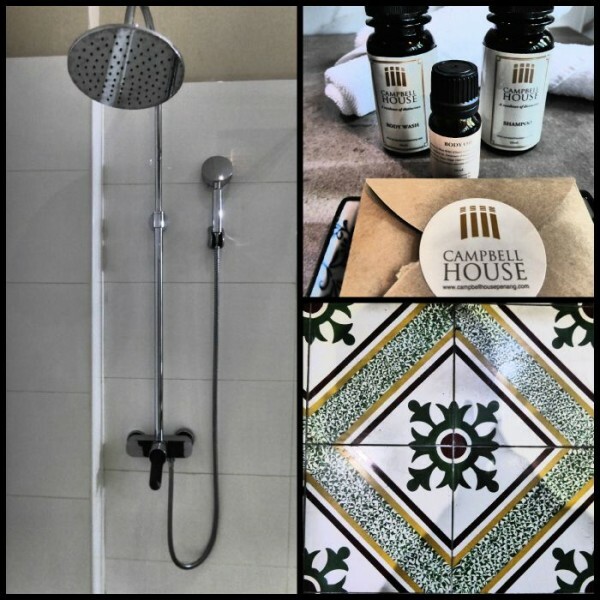 A few other little touches we loved about Campbell House was the body oil and availability of breakfast until noon. 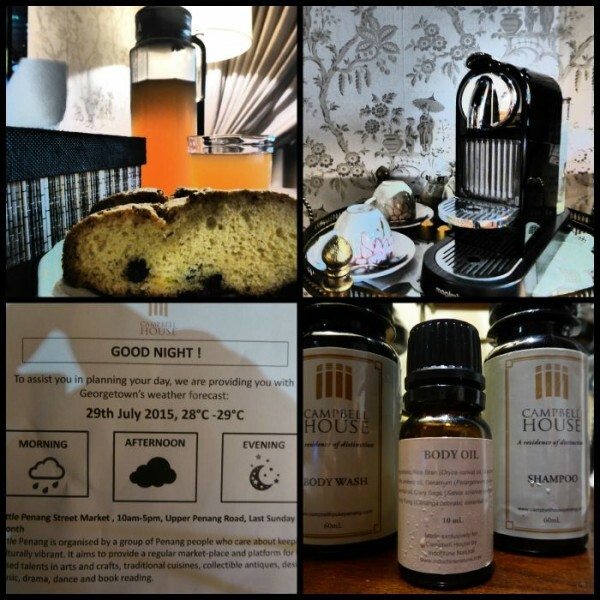 The little touches at Campebll House: your own coffee machine, weather forecast, cakes, and body oil! 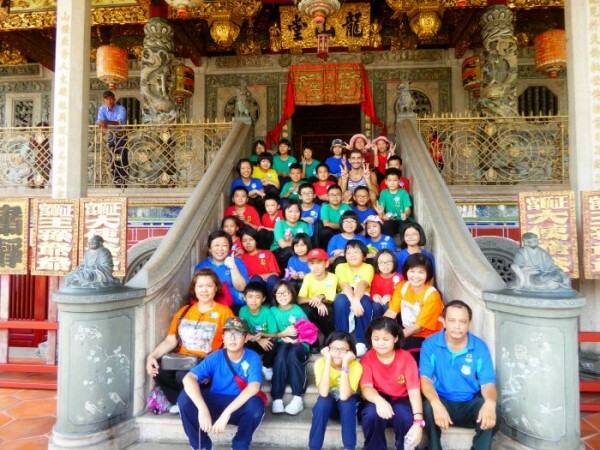 The owners are very passionate about Penang and will give you a plethora of information about what to do, places to eat and best things to see. The famous street art of Penang, for example, is minutes away from this boutique hotel. 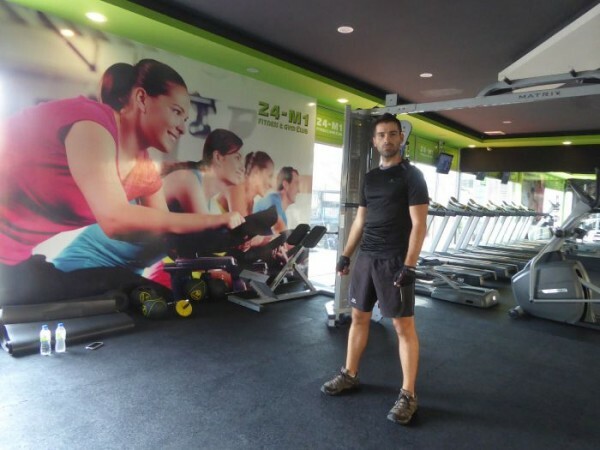 And for gym bunnies, there's a new gym called 24-M1, 5 minutes walk away from Campbell House, located behind the Komtar shopping mall. We were met on arrival by the very friendly owners, Nardya and Roberto, along with the hotel manager, Sharon. They were fully aware we are a gay couple and actually welcomed us with open arms. They have hosted many gay and lesbian couples before and were only pleased to have us join the Campbell House family. All staff were always on hand to help with any request at all times: a 5 start service you just can't fault. It was this which made our experience here so special. 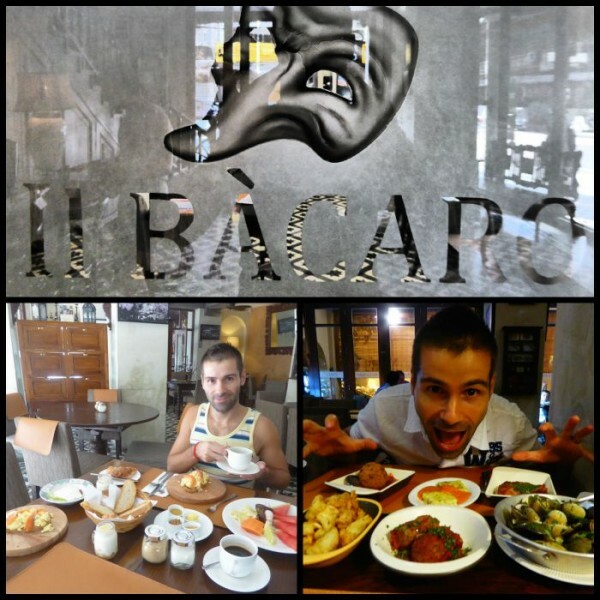 The in house restaurant of the hotel is called Il Bacaro and is where the excellent breakfast is eaten. Roberto, the Italian owner, brings his excellent recipes with him to offer some really yummy dishes for those looking for good Italian food and want an alternative to local food. Some of the dishes we had certainly rival some of the best Italian restaurants we tried back home in London, particularly the Duck Ravioli and Four Cheese Gnocchi. If you wish to book your love nest at Campbell House, check out their Booking.com listing.